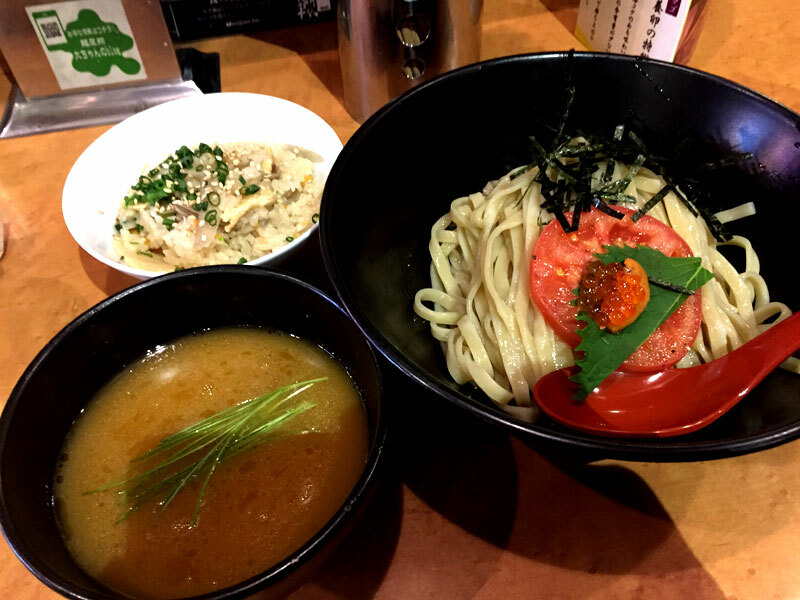 Menya-Sho is one of the most famous ramen restaurant in West Shinjuku area. 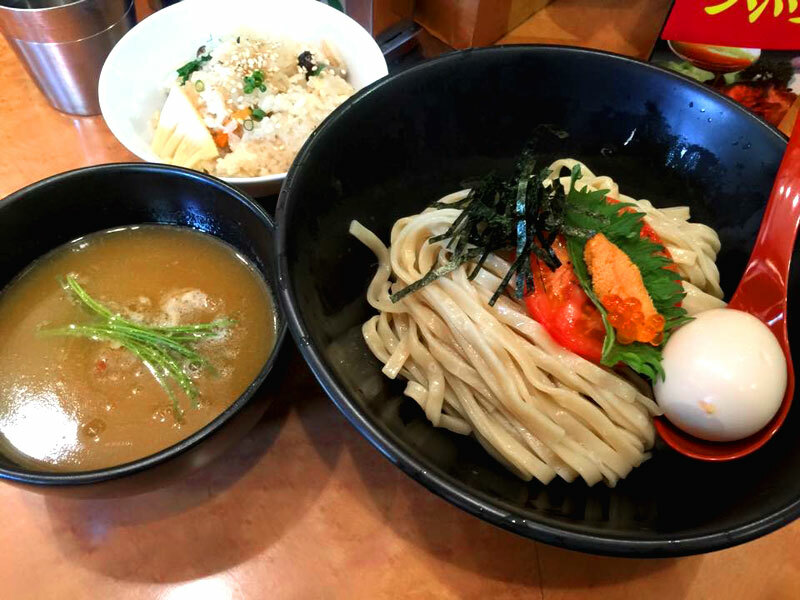 It usually serve salt, soy sauce, and creamy chicken based ramen. 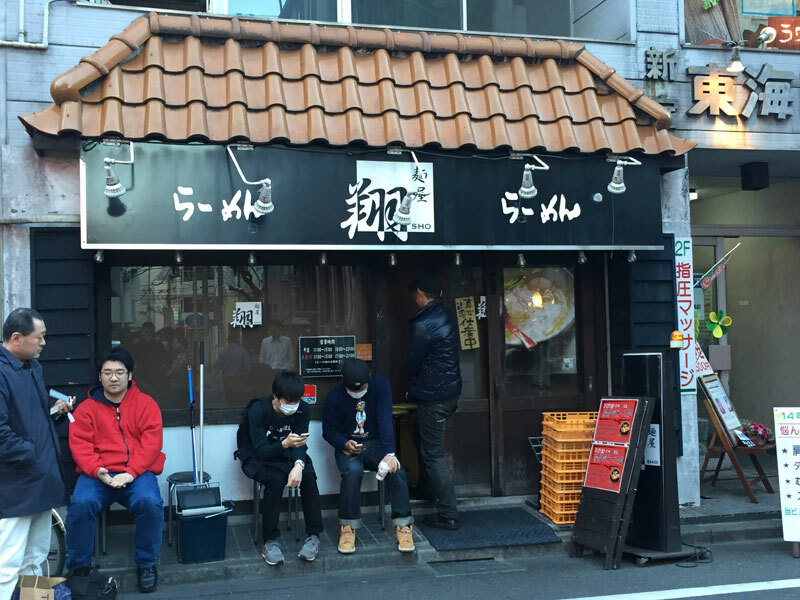 And Sho serve a creative original ramen once a month. 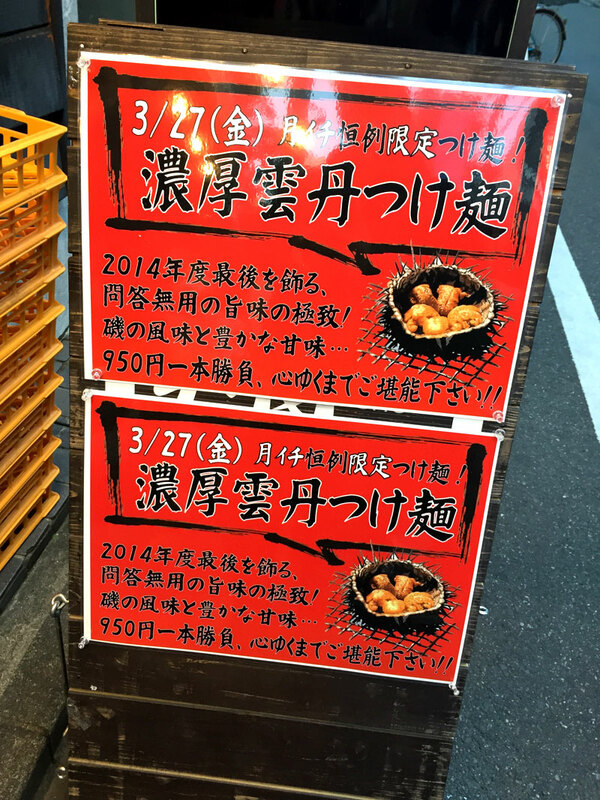 This time, Sho created Sea Urchin Tsuke-men. Ideal tastiness which deserve as a conclusion of 2014. It is only 950 yen. Please enjoy flavor and rich sweetness of sea shore to your heart’s content. Soup: The soup will bring you the rich flavor and fragrance of sea urchin through all five senses. Noodle: Thin and broad noodle. This goes down smoothly and gives your throat new sensation. Toppings: Tomato, perilla, sea urchin, and salmon roe are on the top.